I use VLC player on both my Windows and MacBook, either case it has been a pretty stress-free experience for me, until now. A couple of days ago I came across a beautifully shot video only to realize that the video has been shot in portrait (damn these smartphones!) and was stuck with a video that played upside down. I was left with two options, one to turn my laptop upside down and another to find the solutions for the same that didn’t involve manhandling my laptop! Let’s take a closer look on how you can rotate a video on both Windows and MacBook. I have already expressed my solidarity with the VLC player and it’s only fair to explain how to rotate a video on VLC player. Open the VLC player and if you don’t already have VLC you can install it from here. The best part is that if you rotate video on VLC it will rotate only in VLC but not other players, so it’s kind of temporary rotations. 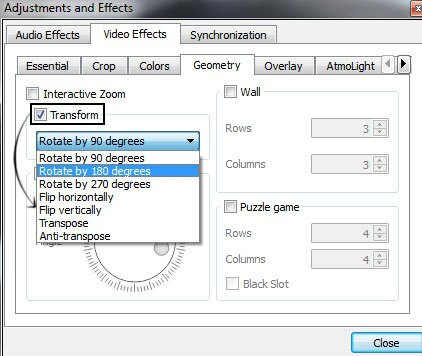 Open the “Adjustments and Effects” windows and this opens by clicking on the three vertical bars button and then select “Effects and Filters” After clicking on the “Videos Effects” tab select “Geometry” sub-tab. Now choose the Transform box and this will let you rotate the video by 90, 180 and 270 degrees. In case you want to rotate the video freely to a particular angle you can also use the angle dial at the bottom. Once done with the rotation simply close the video. That’s it, if you are using VLC this is how the video can be rotated and its pretty much the same on Windows and MacBook. And no, you don’t have to download a YouTube on your computer. VLC lets you stream online videos, just go to Media > Open Network Stream. This is one of the most efficient ways to rotate a video on both Android and iOS. Since it can all be done on the smartphone itself its easier than actually editing the video on PC. The app store will offer you many choices and while some are free most of the others cost money. But the good news is, you can do it for free with Google’s Photos app. Chances are you might already have Google Photos installed on your phone, if not, install it from Play Store. Next, find the video you’d like to rotate and tap to open it. The video will autoplay, so you’ll have to pause it. When you do that, you’ll see a small little pencil icon at the bottom of the screen. Tap on that, and it’ll open Photos’ edit menu, at the bottom you’ll find Rotate option, just keep tapping this button until the orientation is correct and then save changes. If you are a MacBook user chances are that you are well acquainted with iMovie software and even if you are not the steps to rotate the video is pretty simple actually. Also, you will not be needing any extensions for the same. Open iMovie and click on the File menu and select Import and select Movies. Now direct the program to the video that needs to be rotated and import the same. The video will now be nested in the timeline interface. Open the crop menu by selecting the video and pressing “C” on your keyboard. Once inside the crop menu, the rotate buttons will appear and will let you rotate the image in angle increments of 90-degrees when done click on Done button. Also, you can use the fit option so that. you will not lose on the edges front of your video. After the adjustments are over click on File and select Export to save your video, saving with this method will permanently rotate the video immaterial of the operating system or the software used for video playback. If you don’t use any of the tools mentioned above fret not as there is yet another way to rotate your video. Go to RotateMyVideo.net and it is here that you will be able to rotate your video online for free. Thankfully the video doesn’t need to be uploaded and the entire process takes not more than a few seconds or at max a couple of minutes. Click the rotating video in the menu and the service will be sampling the changes on a small preview window. This preview is one of the quintessential features and lets you cross reference on whether or not the video is corrected to the desired angle. 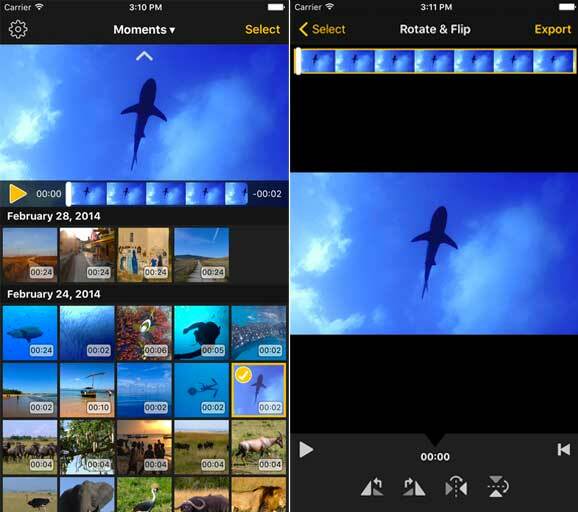 There are a couple of ways to rotate videos oniPhonephone and iPad, for starters you can use iMovie. However, if you just want to rotate a video or two, then it’s better to go with lightweight apps like Video Rotate & Flip. It’s a free app and extremely intuitive. Simply open the video you want to rotate with Video Rotate & Flip and tap on the Rotate option on the top. Next, you’ll get an option to either rotate or flip the video, tap on the rotate option several times and once you are satisfied with the orientation of the video, save it. There are small banner ads in the bottom of the app, which if you don’t like can be removed by a small purchase. But overall, the app is totally free and does what it claims. 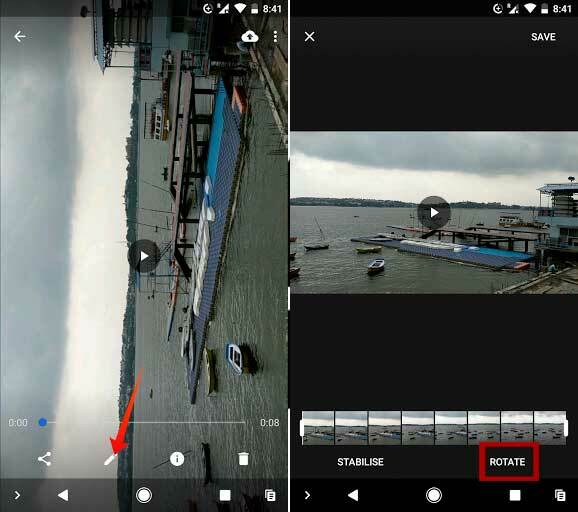 Next, you need to locate the rotate video icons in the editing section and clicking on “Rotate left” or Rotate Left will rotate the video in increments of 90-degrees. Save the rotation changes by clicking on “Save movie” and it is here that you can also choose your desired format before saving the video to the desired location. In a nutshell, it must be clear to you now that rotating a video on PC or a smartphone is not a herculean task and can be accomplished with the most commonly used video editing tools. If you are looking out for options that are spartan in nature you can go with the smartphone method or even the VLC method but if you are looking out for something more permanent than its advised to opt for iMovie options. Do you know any other ways to rotate a video on a PC, if yes feel free to flood our comments section below?